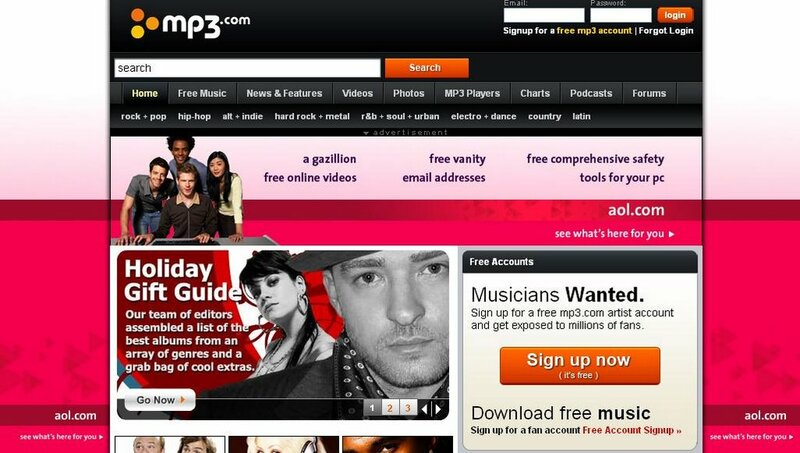 Remember when MP3.com used to be hot? Well, it doesn't look like those days are coming back even with the new makeover it's gotten. CNET has relaunched its MP3.com property, giving it more of a MySpace look and feel. Users can review their favorite artists and download songs as before. It's mostly a return to indie roots by balancing coverage of big-name stars with emerging names, but nothing really stands out. The advertising, however, is unique. Notice the Samsung K5 MP3 player wallpaper in the image below. It's seamlessly integrated into the visual flow of the site. Your eyes sort of accept its presence especially since there's no text to cue you to its presence. A subliminal kind of advertisement that fades into the background. MP3.com looks like it was halfway toward a social networking site for bands and their fans, but somehow got lost in the woods on the way there. It's like a Web 1.5 site. There are forums to talk about music, but band pages are not geared toward social interaction. Social filters aren't implemented effectively. The homepage recommends artists not by Most Popular or Highest Rated, but instead substitutes editorial judgment for user input (with one exception that isn't prominently displayed). Plus, there isn't any sign of the personalization services that recommend music that sites like Pandora and Last.fm have used to attract users. 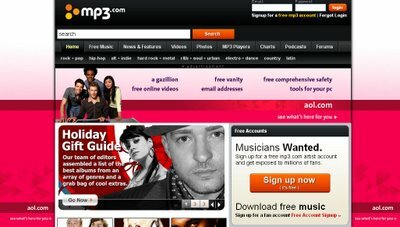 Still, the appeal of free MP3 downloads is significant, and on that front, MP3.com is strongly branded.